Every photo shoot session with a family yields several hundred images; of those images, well over several dozen are selected and edited to be part of the final collection. With over 12 families to choose from during 2009, there are some difficult choices as to which one I personally find the best. The below picture struck me as different because of the attire. 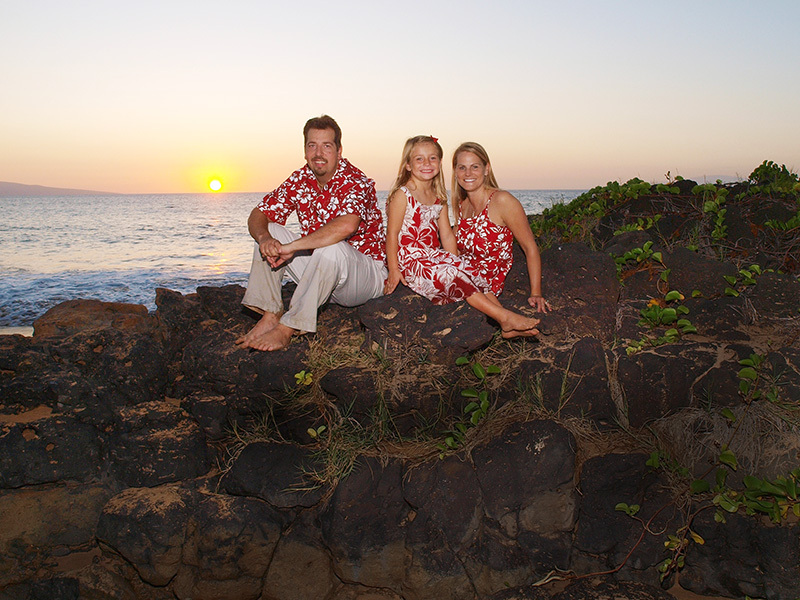 Although many families will color coordinate their attire, very few dawn matching outfits. 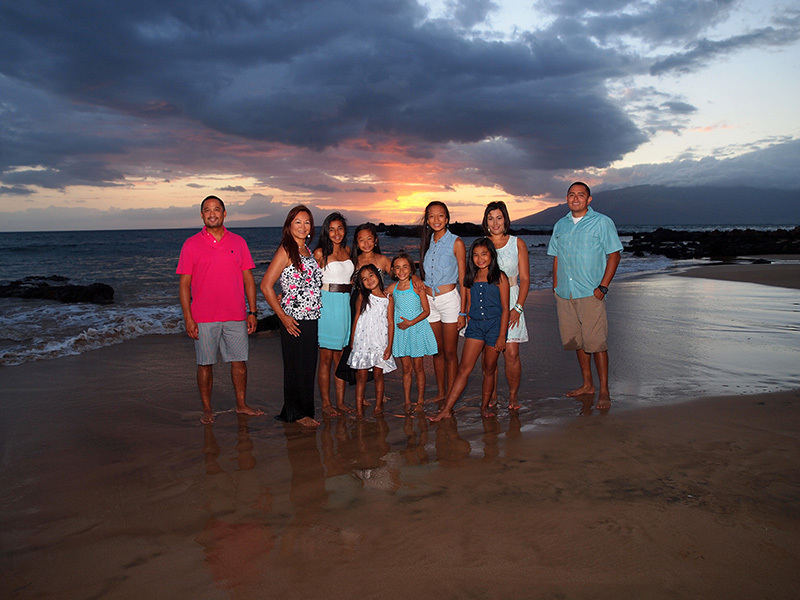 So, here we have the 2009 Maui Family Portrait choice…..